The lively, child-like Khind fight in gangs. Alone, they are not very strong fighters. But they are many and can be played out together; many of them possess special functions that make life difficult for their opponents. 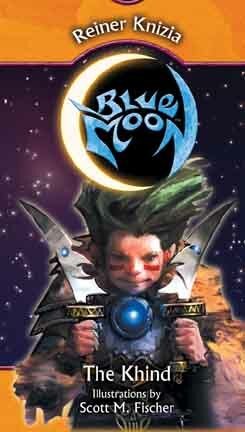 Must have Blue Moon Basic Game to play with expansion cards. Other products in the "Blue Moon" series.